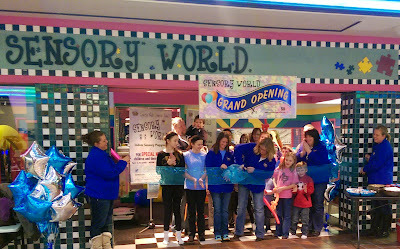 MASON CITY, Iowa – Saturday marked the grand opening for Sensory World indoor playground at Southbridge Mall in Mason City. The project is sponsored by the Special Kids Special Love organization. The goal is to provide a place for families with kids who have special needs to come and play. “It gives them an opportunity to have a safe place to play to relax to unwind, and also give them a place to practice some of the skills that they have been working on while they are in therapy,” said Special Kids Special Love Co-President Lacey Carpenter. Sensory World is open every Saturday afternoon from 1 -4. You can also reserve the playground for private parties.